Veja o melhor que o Peru tem a oferecer nesta excursão de 6 dias e 5 noites de ‘melhor de’ visitas como Cusco, Machu Picchu, Lago Titicaca e o Vale Sagrado. 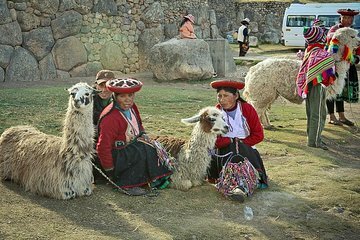 Descubra a história indígena e colonial de Cusco e visite os mercados incas na cidade de Pisac, no Vale Sagrado. Você também poderá desfrutar de uma visita guiada a Machu Picchu e explorar o Lago Titicaca de barco, além de muito mais. Este tour de 6 dias é a escolha ideal para viajantes que visitam o Peru pela primeira vez - não é necessário nenhum planejamento. Recomendo muito este pacote. Excelente organização e tudo saiu conforme planejado. Todos os transportes e traslados ocorreram no horário marcado. Só os hotéis que, embora extremamente bem localizados, poderiam ser melhores. Se puder, escolha a opção de 4 estrelas. The trip is well organized, especially pick up at airport , hotel, bus stations. The highlight to us was visiting 4 islands at Titicaca lake instead of Machupichu. Puno, our guide at Titicaca Lake , is very knowledgeable and gave us the history and culture of each island. He explained to us the plantation along the walking path. He organized us a culture dance and we wore traditional dress and learnt the amanyani dance. The overnight bus back from puno to Cusco is very comfortable. The seat was roomy and we have a lot of leg room. From start to finish, the tour operators, guides, hoteliers, drivers, and everyone in-between was helpful, courteous, and attentive. The experience was wonderful in itself, but the people around us made it all the more better. October weather was perfect (for us), as it only rained a couple of times, and at night. Well worth every penny. THANK YOU! The guides were very knowledgeable, could answer any question thrown their way. The days started early and sometimes were exhausting, but we learned and saw so much. We were greeted by Luis and Ramon and then had escorts Mateo and Erick later. I cannot recall the name of the lake guide, but he was wonderful too. We were very impressed with the attractions. This tour exceeded our expectations in every way. It was a great way to see the highlights of Peru, especially if you only have a short time and want to make the most of it. We loved the Sacred Valley, Cusco, Machupicchu, Puno, and Lake Titicaca! 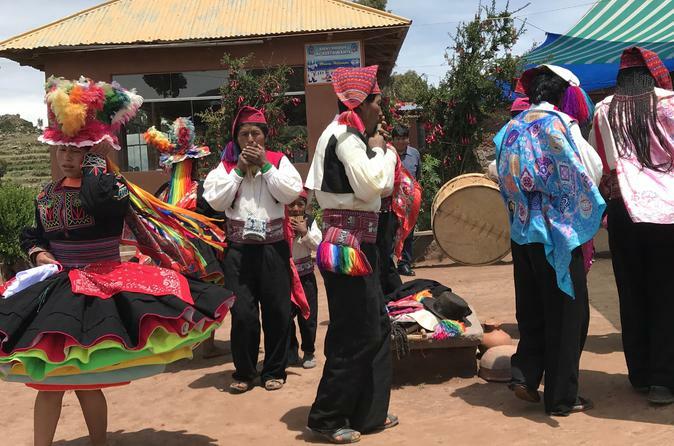 From our pickup at the airport in Cusco to our drop off at the airport in Juliaca, the tour was well organized and the guides and drivers were friendly, knowledgeable and professional. Every day was filled with moments of beauty and magic. A special thank you to: Fredi, Gary, Ignacio, Ivan and Nestor each of you helped to make our trip to Peru perfect! I will never forget my first glimpse of Machupicchu or dancing with the people of Taquile Island - just wonderful! Parts of this tour was excellent , Matchu Pitchu was great . The day before there were too many ruins too see plus because of the elevation I chose not to go at a higher altitude as I had to visit Matchu Mitchu the next day . The outings should be scattered . Also Lake Titicaca and Puno was not exceptional . I would not visit this had I known what it entails before . There was also a a very elevated mountain which we were not advised before hand about climbing to the top . I would not chose this either .There are parts of this trip I would not chose . From start to finish this tour was great, tiring, but great! Machu Pichu was just incredible, our highlight of the tour really. A lot more up and down climbing than expected but no big deal. Temperature was actually very warm but comfortable. Lake Titicaca floating islands were amazing. We loved Cusco too!